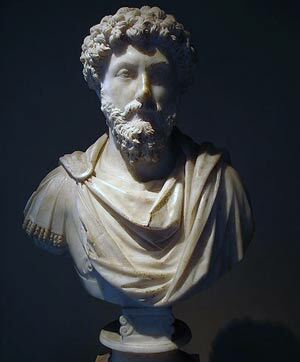 Marcus Aurelius (121 – 180) was one of the great five Roman Emperors. He is widely regarded to be the model for a just Roman ruler. He combined statesmanship with a profound interest in Stoic philosophy. His meditations reflect his thoughts on self-inquiry and self-improvement. Aurelius was born into an aristocratic family with strong ties to the Emperor. In 138, he was hand-picked by Hadrian to be his successor. He was educated in the classical Latin and Greek texts of the day. He also became fascinated with Stoic philosophy and the writings of Epictetus. Epictetus was a former slave instrumental in developing a Stoic philosophy and the philosophy of calm detachment to the vagaries of life. In 161, Hadrian died and Marcus Aurelius could have legitimately seized power. However, he decided to govern jointly with Lucius Verus being made joint emperor in the East. On a domestic front, Marcus generally implemented more progressive policies for the marginalised of society – slaves and women. He took a great interest in his role of overseeing judicial system. He heard many cases and took an active interest in following legal procedure, he had a preference for giving slaves freedom and choosing careful city legislators. At the time of his rule, Rome was constantly under attack from enemies in Germany and the Parthian Empire in Syria. Much of Marcus Aurelius’ meditations were written against the backdrop of war and death. After Verus’s death in 169, Marcus personally led the Roman Army in its wars with the Germanic tribes to the north. 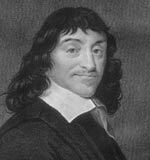 In his writings, he frequently pointed out the transitory nature of life and the importance of not fearing death. It was the historian Edward Gibbon who described the five Good Emperors. The other emperors were Nerva, Trajan, Hadrian, Antonius Pius and Marcus Aurelius. Although they had absolute power, they ruled under the guidance of wisdom and moral virtue.